Bauma revisited: Bierbrauer & Sohn and Kurz Aufbereitungsanlagen received their 15th and 10th Metso crushers, Metso's distributor agreement with Fischer-Jung has now lasted over 20 years. Customer loyalty towards Metso and long distributor relationships were highlighted during Bauma, this year's clearly biggest construction machinery exhibition globally. During the event, Metso handed over four Lokotrack® mobile crushing plants to its longtime end customers. During the exhibition, the handovers to end customers included the15th Lokotrack plant, an LT96 equipped with a jaw crusher, to German customer Fa. Bierbrauer & Sohn GmbH, and Kurz Aufbereitungsanlagen received the company's 10th Lokotrack to their rental fleet. Metso and its distributor HSB, Germany, handed over another Lokotrack LT96 jaw plant to the company Merscher GmbH. In addition, Metso's distributor Fischer & Jung received an LT1213S impactor that will start crushing as a rental machine immediately after the exhibition. "Easy and reliable machines for rental purposes"
Kurz Aufbereitungsanlagen, based in Friolzheim, Germany, actively rents out its Lokotrack crushing plants for any aggregates production or recycling needs. "Lokotracks have proven themselves reliable machines that are easy to operate in rental use. Our end customers expect high machine availability that is easy to reach using Metso's machinery," comments Managing Director Michel Kurz. To celebrate the 10th unit of the company, Kurz Aufbereitungsanlagen named their new LT96 after the youngest son of Mr. Michel Kurz. The name "Lian Matti" is engraved on the machine plate. Fischer-Jung has operated as Metso's distributor in most parts of Germany since 1996. Recently, Bavaria was added as the company's new sales area. The company has sales offices in Krefeld and Arnsdorf. 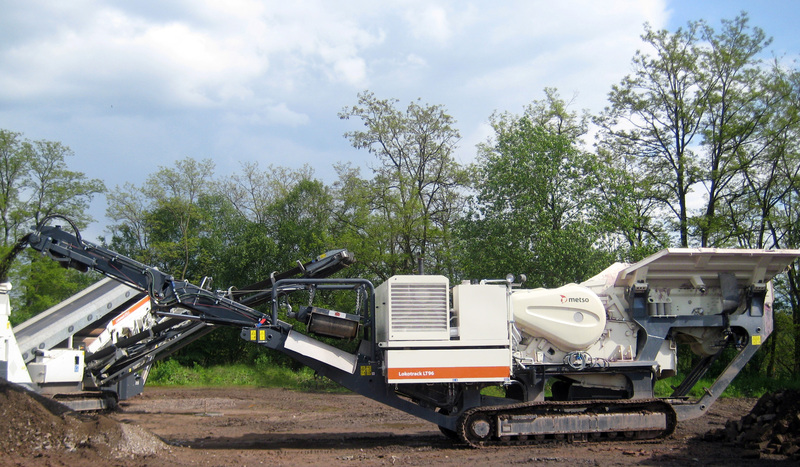 "The first Metso crushers we sold were small Citytrack models and wheel-mounted plants. Later, we started selling Lokotrack branded track-mounted crushing plants. Both we and our end customers believe that Metso is certainly the leader in mobile crushing technology," comments Egon Plew, Managing Director of Fischer-Jung. "Thanks to the close cooperation of more than 20 years, we have sold more than 250 Metso crushers to Germany. We look forward to continuing the fruitful cooperation," he adds. 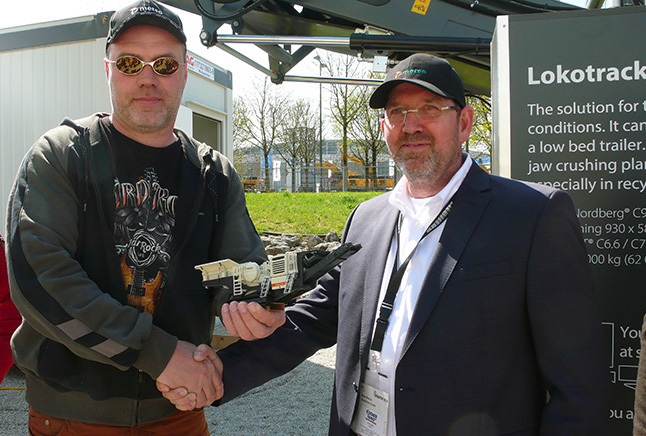 Lokotrack handover 1: Managing Director Karl-Werner Bierbrauer of Bierbrauer & Sohn GmbH (left) received a Lokotrack® LT96(TM) jaw plant as the company's 15th Lokotrack from Sales Manager Ralph Phlippen of Fischer-Jung. Lokotrack handover 2: LT96(TM) jaw plants are highly popular in Germany both in aggregates production and recycling. Two more LT96's were handed out during the recent Bauma exhibition.